Did you know that we also make mission style book cases as well as custom church pews? We make these bookcases out of the same solid oak that we use for our church pews and can finish them to match your other church furniture we build for you. They’re a great addition to any pastor’s office or church library. When you’re looking into getting church pews, going with a company that can also build quality furniture of other types, like tables, bookcases, and chairs makes it not only easier to match all your furniture but can make it cheaper than buying pieces from a bunch of different companies. If you’re looking to price church pews, communion tables, chairs, and other church furniture, be sure to think about all the costs and time you’ll have to spend getting all those pieces from different places. You could have a different company for each one piece of furniture! On top of the price being higher overall for your church furniture, it can take a lot more time for you to get all of your church furniture finished and in place. 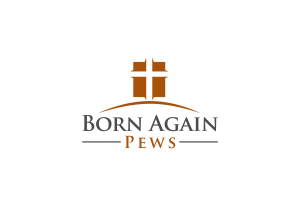 With Born Again Pews, we build everything and install it all in one visit. When we’re done, you have all your church furniture in place, on budget and on time. We can also make special accommodations for your church during our construction and installation process so everything is just right for you. And that’s just the church pew installations we’ve done recently! We’ve traveled across the country, delivering church pews and church furniture nationwide.